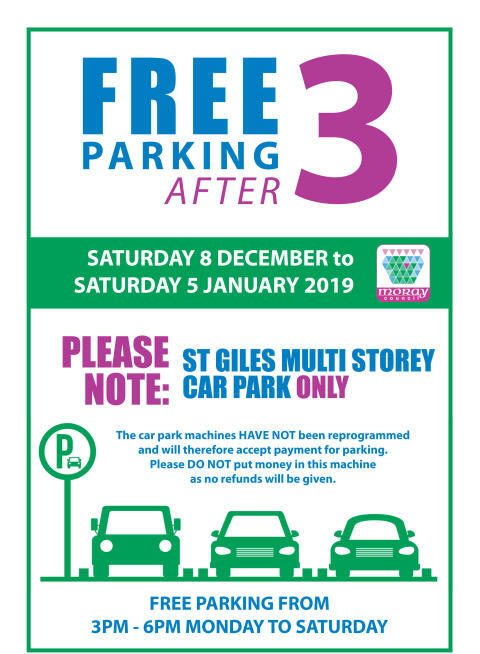 FREE parking after 3pm in St Giles multi-storey car park in the run-up to the festive period has been approved. 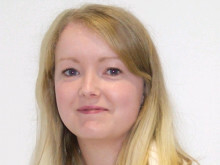 Now in its fourth year, ‘Free after 3’ aims to improve footfall to shops in the centre of Elgin during one of the busiest shopping periods of the year. Normal charges will apply in all other car parks. It will come into effect from Saturday 8 December and run until Saturday 5 January, allowing shoppers to make the most of the free parking for getting last-minute Christmas gifts and post-Christmas sales. 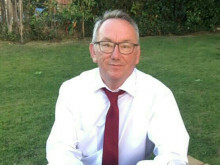 Chair of Moray Council’s Economic Development and Infrastructure Services Committee, Cllr Graham Leadbitter, said the benefits of the scheme will reach shoppers, business owners and retail staff. “There is a strong feeling from shop owners and staff that in previous years Free after 3 has been a real success, they have a noticeably increased footfall after 3pm in many stores.